In true spirit of helping the environment, in spite of red tide problems, volunteers still clean up Texas beaches and gather trash during the 29th annual Adopt A Beach Fall Cleanup this weekend. It’s quite an admirable effort when the population does not go back on their word and continue with a beneficial tradition. The program had to be scaled back a little though, due to “red tide” problems that has infected several beaches along the Gulf of Mexico. According to Texas General Land Office official, Renee Tuggle, participants removed the garbage and waste from 21 beaches, stretching down from Beaumont to Corpus Christi. 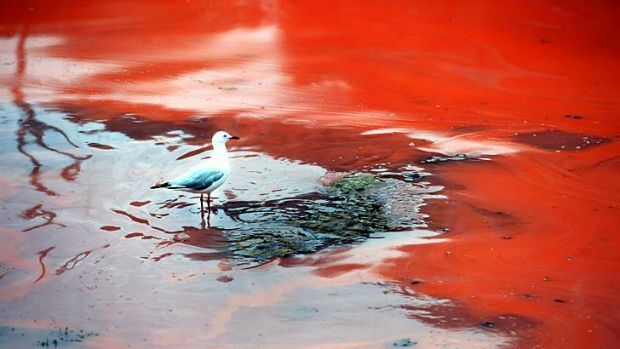 Their efforts were targeted around the areas where the red tide did not hit, a bloom in red algae that has proven to be quite toxic. It can kill fish, and cause shellfish poisoning in humans after consumption, and it can also emit vapors that cause breathing problems, sneezing and coughing. In fact, locals who suffered from asthma were highly discouraged from venturing to the beach. Tuggle has stated that news taking over the problem can only be good because the population needs to be aware of the risks and hopefully avoid the 9 beaches farther south that have been overtaken by the algae. She has been running the program for the past 13 years, and stated that this is the first time the red tide has forced them to scale back the event. An estimated number of 10,000 volunteers were expected to show up, but 8,000 participated in the event, which is still quite enough considering they had to drop their mission of cleaning up beaches in Pelican Island, Port Aransas, Port O’Connor, Corpus Christi Bay, South Padre Island, the Lower Laguna Madrea and the Brazos Santiago Pass. Regardless of the problem, volunteers showed up for all uninfected beaches, of all ages, ranging from 3 years old to older senior citizens willing to offer a helping hand to officials in order to keep their communities clean. For example, volunteers down at North Beach and Cole Park gathered in numbers of 650, who managed to remove over 13,700 pounds of trash across 10 miles of beach. Many of the volunteers wanted a way to give back to the community by participating in the event, either with instant or long-term goals in mind. It’s an important lesson to offer to the younger generation, that it’s important to clean up and start fixing a problem before it becomes worse. The next Adopt A Beach event will take place on February 13th, 2016.